Nothing packs quite the same visual statement in the studio or on stage quite like a doubleneck guitar, and NO guitar makes a statement quite like a B.C. Rich Bich Guitars. 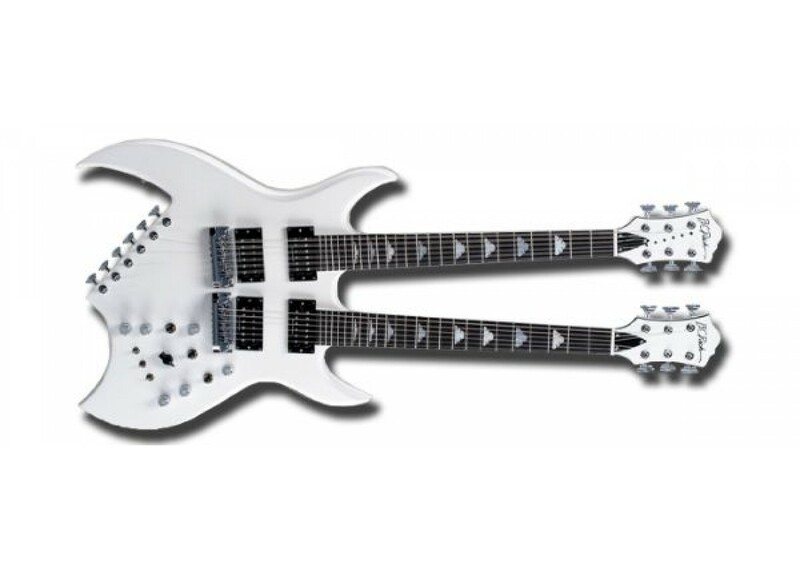 If you're looking to outclass and outshine the competition, the 2012 B.C Rich Pearl White Doubleneck Bich delivers with all of that, and more with maximum style and impact. Its dual neck-through mahogany body design provides lightning-fast access to the highest frets on both of its 24-fret two-octave necks, this guitar also comes standard with two sets of Duncan Designed HB-103 pickups. The lower neck is strung up as a tradtiontional six-string guitar with a simple volume, volume, tone and 3-way pickup selector; and a fully adjustable B.C. Rich Quad bridge. The upper neck of the Bich is strung as a 12-string with rear-mounted tuners below the bridge for the octave strings. The 12-string's harmonious sounds can be further sculpted with its unique 5-position varitone filter knob, two coil tap switches and reverse phase switch, providing guitarists with thousands of new tones to be explored. 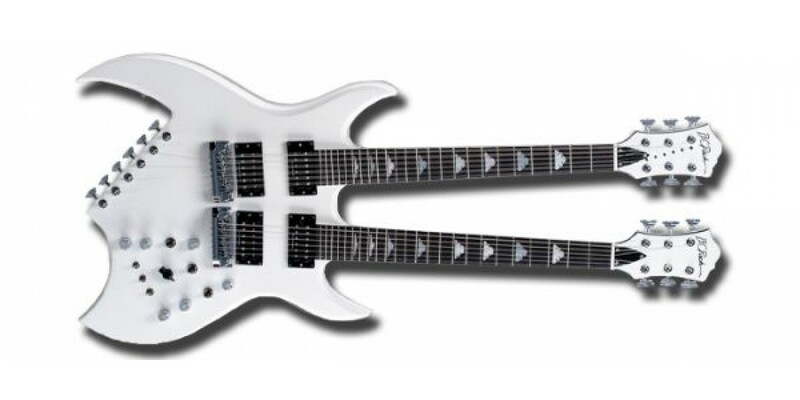 The new 2012 Doubleneck Bich is a guaranteed showstopper with its Pearl White finish and comes standard with many supreme features including: Fully bound neck and headstock, Dual Quad bridges, cloud inlays, ebony fretboard, Grover Super Rotomatic tuners and Duncan Designed pickups.